Discussion in 'Suggestions' started by NotLethal, Nov 8, 2018. I think there should be more diversity in the vote rewards! What do you think!? Also, if you said yeah, what do you think should be added? A) more items to vote rewards = more things to win INSTEAD of the crate key. B) Heads and /bal are already relatively cheap, jackpot options or more super rare items would give economy to people logging in just to collect votes. It's a good thing I guess, but the only reason economy exists in minecraft is to gain liberty to build what you want out of what you want. 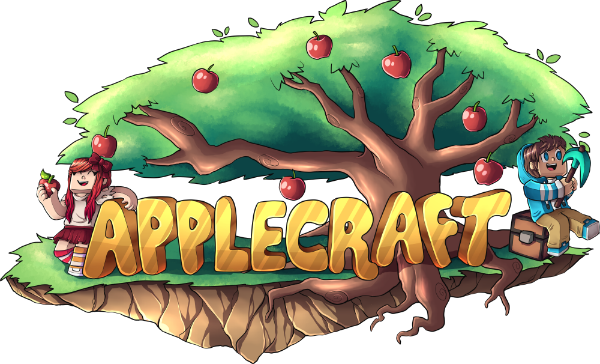 Adding the ranks or items that cost $ to the voting rewards would be beneficial to Applecraft because it create a larger incentive to vote which means higher ranking on the websites and some users could win real $ items. A win-win. Of course the % to win should be low because at the end of the day, its important that there is a incentive to support the server by contributing $s (pay for bills & time). Some have mentioned that people would just login to vote, which is good for the server and community, a higher rank means more people will join. A side from these items, more unique collector items that reward those that continue to play. for example, we shouldn't have snowballs every winter as an award, instead it should be a unique snowball that was only given in 2018 and NEVER given again. this is truly unique. Maybe for $1000 vote dollars, you can buy a unique title called MoneyBanks. could turn vote dollars into a fiat money that way. Other than that, I do not think voting, which is the prince of afk-playing, should offer real game aesthetic or advantages. The head database is a good enough incentive for new builders, or builders keen on decorating their builds.